Looking for a cool Santa coloring page? 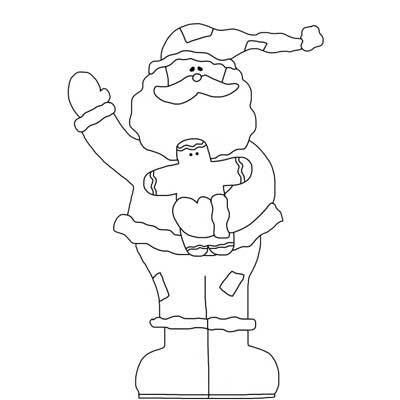 This coloring page sports a Santa waving and gingerbread man cookie. Let the kids use their imaginations.